To thee, O blessed Joseph, we fly in our tribulation and after imploring the help of thy holy Spouse, with confidence we ask also for thy intercession. By the affection which united thee to the Immaculate Virgin Mother of God, and by the paternal love with which thou didst embrace the Child Jesus, we beseech thee to look kindly upon the inheritance which Jesus Christ acquired by His precious blood, and with thy powerful aid to help us in our needs. Protect, most careful guardian of the Holy Family, the chosen people of Jesus Christ. Keep us, loving father, from all pestilence of error and corruption. From thy place in heaven be thou mercifully with us, most powerful protector, in this warfare with the powers of darkness; and, as thou didst once rescue the Child Jesus from imminent danger of death, so now defend the holy Church of God from the snares of the enemy and from all adversity. Guard each of us by thy constant patronage, so that, sustained by thy example and help, we may live a holy life, die a holy death, and obtain the everlasting happiness of heaven. Amen. There have been a string of troubling reports in the last week or so coming out of Iraq about its army and their fight against the Islamic State. Now there is another report coming out of the UK that the Islamic State is again advancing around Baghdad. I am not certain that Canon Andrew White, who is cited in that report, is actually in Iraq right now. His blog reports that he went back to the United Kingdom in early September for medical treatment and was in the United States on a fundraising trip as recently as ten days ago. So there may be some hyperbole in his report of 1,000 Iraqis killed and the Islamic State being within a kilometer of Baghdad. 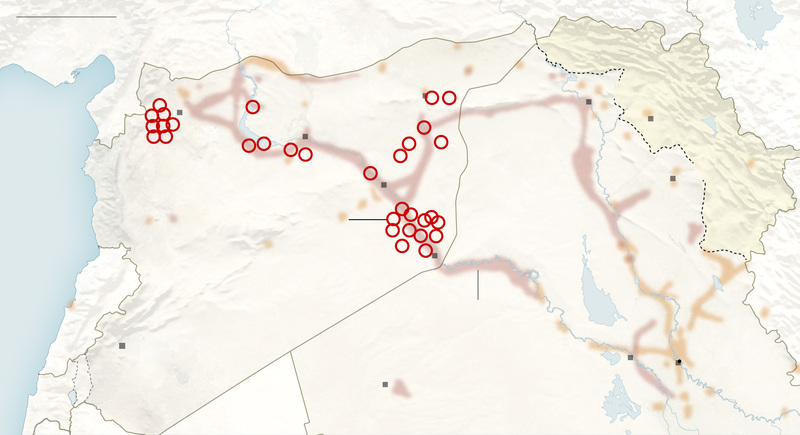 Still the United States has been conducting airstrikes in Iraq for more than a month now and the Islamic State does not seem to have been seriously crippled by them. None of the cities they took over in June, Mosul or Tikrit, or even Fallujah have been retaken by the Iraqi army nor does the fighting capacity of Iraq’s armed forces seem to have significantly improved at this time. There is also the rather amusing report that the first British strike mission on Iraq returned to its base on Cyprus with weapons still intact. The Defence Ministry statement seemed to vacillate on the question of whether the Tornadoes were on an ‘armed reconnaissance mission’ or simply couldn’t find anything worth shooting at. It is important to remember that the men fighting for the Islamic State either spent years fighting the US in Iraq or have been trained by those who did. While the military prowess of the United States and its allies is formidable and could wipe the floor with the Islamic State if it was deployed to its full potential (which it hasn’t been and likely won’t be anytime soon), these men have been up against it before and won’t be so easily cowed by it as they once might have been. Still Baghdad would be a tough nut to crack for the Islamic State, and I wouldn’t expect them to launch a great onslaught against it anytime soon. It is a great metropolis and the population is mostly Shi’ite and therefore incredibly hostile to them. There likely course of action would be to strengthen their hold on areas around the city and to disrupt communications as much as they possibly can while massacring any outlying and isolated Iraqi army units they can find in order to strike terror into the population. I suspect that their goal for now is to do what they can to completely cut Baghdad off from the north while putting themselves in a position to effect some sort of a siege on the city. Whether they will be successful is an open question at this point. And just to remind everyone the border between Syria and Iraq still is open and is being erased. Two great saints of the East are celebrated today. The physicians Cosmas and Damian. The tradition that comes down to us records that they were twin brothers born in Arabia and were martyred by beheading in Syria during the great persecution of Diocletian on September 27, 303. The ancient tradition also records that they were physicians and healers who accepted no money for their services and used their care of the sick as a prime way of spreading the Gospel of Jesus Christ. A church was raised up over their burial site in Syria in the city of Cyrus by the emperor Justinian himself in the sixth century. These twins were of high repute in the ancient Church as there was a church built for them in both Constantinople and in Rome while their names were inserted into the Roman Canon (now called Eucharistic Prayer I) of the Mass sometime around the fall of the Western Empire where they remain today. Saints Cosmas and Damian pray for the suffering Church in this world and for the tormented land of Syria where you were crowned with victory. Pray the Joyful Mysteries of the Rosary on Monday for the See of Constantinople, the Sorrowful Mysteries on Tuesday for the See of Antioch, the Glorious Mysteries on Wednesday for the See of Jerusalem, the Luminous Mysteries on Thursday for the See of Alexandria, and the Sorrowful Mysteries on Friday for the See of Carthage; for their liberty and for their salvation and for the restoration of their ancient position as pillars of the one, holy, catholic, and apostolic Church in communion with the See of Peter in Rome; for the conversion of the Jewish people and the conversion of the Muslim peoples. And join the Rosary Confraternity! Is this really the most important thing dear Cardinal? The Secretary of State of the Vatican City State Cardinal Archishop Pietro Parolin before the United Nations has called for an “authentic cultural change.” Was he speaking of the moral apocalypse threatening Western (formerly Catholic) civilization? Was he speaking of the million children murdered by their own mothers in their own wombs each year in the United States alone? Was he speaking of the almost universal acceptance of contraception and the resulting sterilization of the Western world? Was he speaking of the rapid advance of sodomite marriage across the lands and countries that were once the upholders of Christian virtue? Was he speaking of the annihilation of the Catholic Faith across the planet, in large part assisted by its own clergy? Was he talking about the loss of tens if not hundreds of millions of souls? No my friends he was not talking about any of this things. No, the issue that is cutting right to this successor of the apostles’ heart today is neither the slaughter of the innocents by their own mothers nor the social idiocy of men marrying men and women marrying women nor even the loss of so many souls; what really got Cardinal Parolin going is …climate change. Yes, this is thing which threatens us all …climate change. This is thing that requires an immense and ‘authentic’ change in our culture …climate change. Stop trying to placate the world my dear Cardinal. They will not love you for it. In fact they will despise you all the more. The United States of America and five Arab countries launched a wide ranging series of air strikes against Islamic State targets in Syria from Aleppo to the Iraq border last night. So the question now before us are as follows: has the United States recovered from the confusion it has suffered since its exit from Iraq in 2011? Will, in six months time, the names of the Islamic State and the erstwhile successor of Muhammad the Caliph Ibrahim a.k.a. Abu Bakr al-Baghdadi be relegated to mere historical oddities and footnotes. Will Syria, the Middle East, and the world enjoy greater peace and prosperity as a result of this action? We shall see. Only the Lord of history knows the answer to these questions. Though I can say that in my life I have seen one or two US military operations begin with all sorts of flash and flare and high sounding promises and then descend into the muck and mud of chaos and confusion. I remember watching live on television as ‘shock and awe’ descended on Baghdad on the night of March 21, 2003 with the high explosive power and pinpoint accuracy of American cruise missiles and satellite guided bombs that would obliterate one building and leave the structure standing next to it without a scratch. One would have said that night that no one could ever stand up to United States’ military might and its awe inspiring technological supremacy. Yet it was men who devised primitive explosives and hid them inside of donkey carcasses on the side of the road who unraveled all of the American plans for Iraq. There is not much really to tell at this point. The coming days and weeks will give us the answers, all in due time. The advance of the Islamic State toward the Syrian/Turkish border over the last week has sent a tidal wave of humanity across that border. This undoubtedly helped to provoke the American attack on Syria. The world today is not the same as the world of 2003 or the world of 1991 when the United States crushed Saddam Hussein’s army in southern Iraq and pushed it out of Kuwait. Russia today strongly condemned the US action in Syria and as that country is making its presence felt more mightily in the international arena than at any time in the last thirty years its opinion can no longer just be ignored. So after all the massive explosions and high flown rhetoric on television are done with the world still will have a mess on its hands. An we shall see where that leads us. While presidents and prime ministers dither in Washington, London, Baghdad, Paris name your capital the Islamic State staged another advance and captured twenty one Kurdish villages in northern Syria along the Turkish border during the last forty eight hours. The low casualty count among the Kurdish forces protecting the area, seven reported killed, is a likely indicator that whoever was supposed to be defending these villages simply ran away. The rather confused Western response since June to the menace of the Islamic State is strange since the group/state (whatever they are) could easily have been defeated then and probably still could be now by a fraction of the power that the United States military is capable of bringing to bear. But instead worry and doubt and confusion cloud the eyes of American and European leaders and their publics. If one looks at history, especially Biblical history, one finds that at moments of great historical change a certain blindness overtakes those who are accounted powerful. All of the sudden they just are not capable of doing what on paper they should be able to do with great ease. It just isn’t in them anymore. Strange, isn’t it? Are we at one of those historical moments? Time will tell. Roger Cohen wrote an Op-ed piece in the New York Times that describes quite well what the world is going through right now. Wars, rumors of war, the rumbles of far away conflicts that we could hear in our own backyards if only we were listening. But most of us really aren’t listening are we? Too many of us can’t seem to lift our eyes from our iPhones or Androids or Samsung Galaxies long enough to notice the ripples in the air. But things are changing; the world is changing and we want desperately to sleep and not to be bothered by such things. But of course, since he is writing in the New York Times, Mr. Cohen does not go into the root cause of the decay that we are living through. Why does the sand shift under our feet so? Why does the earth itself quake under our feet? One could make an argument, a well founded argument, about the tides of history and history’s Lord and how these things happen. But doesn’t the answer really lie in a deeper and darker place in our heart? We have completely rejected the law of God, the law that God gave us in his wisdom and his charity to teach us how to be his sons. Our ancestors rejected the Church because they could no longer bear anyone having authority over them, they wanted to follow their own designs. The generations following them rejected Jesus Christ: declaring Him to be a good guy, a wise philosopher, or a clever teacher of morals who employed witty sayings to bring in the people. But to those generations, or at least to a large part of those generations in their inmost heart, He was not divine. No He could never be divine. Such things just didn’t happen, God was too distant for that and besides, these things just didn’t happen. In the twentieth century what was once the Catholic world rejected God entirely; flocking to the atheistic ideologies of communism, capitalism, and fascism that all promised to make this world a wonderful and prosperous place because, after all there is nothing beyond this, right? And in the twenty-first century we reject even the natural law: men marry men and women marry women because it makes everybody feel good and nobody is offended, nobody in this world at least. We see men in black masks sawing off the heads of young men in orange jumpsuits and call them barbarians, safely ensconced behind the walls of a civilizations where mothers murder their own children in their own wombs while the fathers act as accessories to the crime because of their own indifference and a desire to remain adolescents for the whole scope of their lives. Tell me who are the real barbarians? Yes the world is failing and we all need to repent. While this may not be the end of the world and the Son of Man may not be coming on the clouds anytime soon (though who can say?) we are definitely at the end of something. We need to repent and we need to be converted and we need to pray.